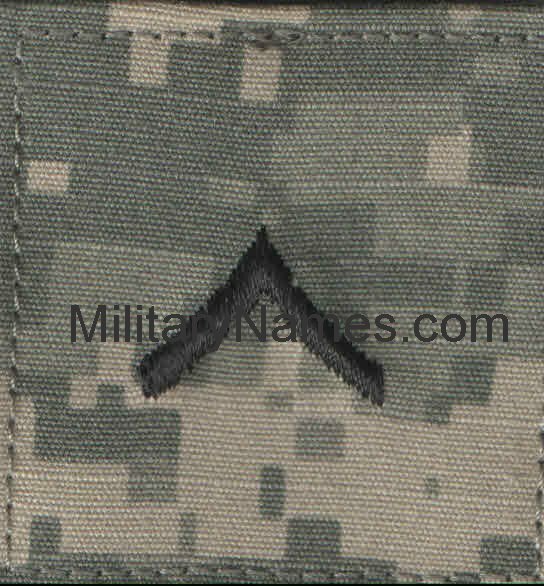 ACU UCP RANK Insignia w/ Hook Fastener Military Name Tapes & Rank Insignia. Leather Flight Badges for all Branches of Service. Rank insignias for the Army Combat Uniforms. 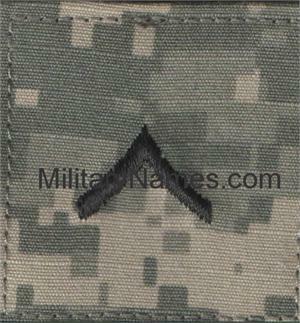 Embroidered ranks on digitized fabric with hook fastener, Hook Fastener or equivalent made to regulations.